Dr. John McBride began the McBride Vision Clinic in 1972 in downtown Hastings. He practiced there for over 25 years before moving to the office now located on west 12th street. Dr. Richard Arneson joined Dr. McBride in 1987 and has been practicing there ever since. Dr. McBride retired in 2006. 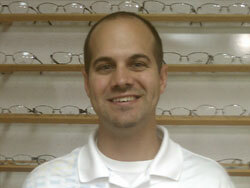 In 2011 Dr. Eric Arneson joined the practice after graduating from Pennsylvania School of Optometry. Thanks to our great patient base the practice has steadily grown over the years to enjoy much success. We continue to offer the latest frames and lenses as well as the newest contact lenses on the market. Our patients make our practice grow and drive our business. Dr. Arneson did his undergraduate work at the University of Nebraska-Lincoln and received his Doctor of Optometry degree from The Ohio State University in 1985. He joined Dr. John McBride at McBride Vision Clinic in 1987.In 2004, Dr. Arneson purchased McBride Vision Clinic from Dr. McBride and in 2006 changed the name to Hastings Vision Clinic. He is a member of the American Optometric Association, the Nebraska Optometric Association, has served on the Board of Directors for the Nebraska Optometric Association, past member of Hastings Area Chamber of Commerce, past member of Hastings Chamber of Commerce Diplomats, member of Hastings Noon Sertoma Club, volunteer for United Way Campaign and past Campaign Chairman, and member of Faith Lutheran Church. Dr. Arneson has coached various youth sports and enjoys playing golf and spending time with his wife Sheri and 7 children. A Hastings native, and graduate in 2003 from Adams Central High School, Dr. Arneson did his undergraduate work at the University of Nebraska-Lincoln. He received his Doctor of Optometry degree from the Pennsylvania College of Optometry in May of 2011. 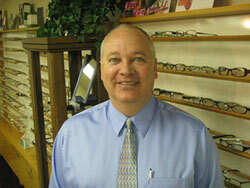 Dr. Arneson is a member of the Nebraska Optometric Association and the American Optometric Association. His specialty is treatment of dry eye and contact lens fitting. Dr. Arneson enjoys spending time with his wife Ashley and 2 sons Braylen and Logan. Dr. Arneson also enjoys basketball, golf, and following husker football and basketball. Thank you to all our patients for over 60 YEARS of support! Please take the opportunity to tell us how we're doing. Complete our Patient Satisfaction Survey online or leave us a review on one of our social media sites.